Popular budget range of oval long handled tools. 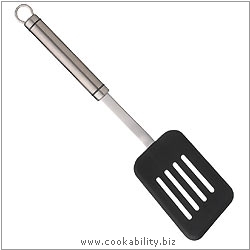 This slotted turner has a non-stick head making it suitable for non-stick pans. It is heat resistant up to 210°C.